Hello, beauties! I'm a little late today with my posting, as I have taken the weekend off of blogging. I haven't leave anywhere or done anything special really. Just thought it would be nice to actually take it easy on a weekend and do nothing. I normally like Mondays, but today a little less as we'll watch the last episode of Games of Thrones Season 7 and we have no idea when the next season will be! I love this show, but I can't cope with the long hiatus between the seasons... Well, whatever, let's get into makeup now! Today is time for the "Monday Shadow Challenge" using "forest green & taupe grey". 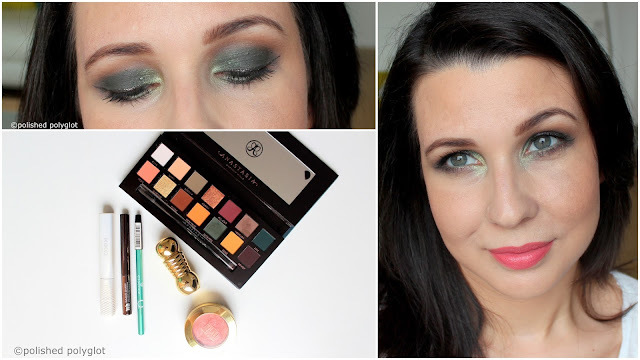 I was very excited to create this look because I could experiment a little with my new Anastasia Beverly Hills palette "Subculture". I hope you like it! Hello, sweeties! How are you? I hope you are all spending a wonderful weekend. I'm up since early preparing brunch that we'll have with friends later today, and realized that yesterday I totally forgot to share my nail art with you! So, now is time to show you my Sunflowers nails for the Nail crazies Unite nail art challenge. I hope you like it! I am super happy because I have planned a few changes in my life that get me excited! I will tell you more about it soon. I'm also super excited because "Winter Fall is coming", LOL, ! yessss! my favourite season! Halloween is just around the corner, to me all the leather boots and jackets, silk scarfs matching my nails and all the goodness of the landscape colour changing!!! 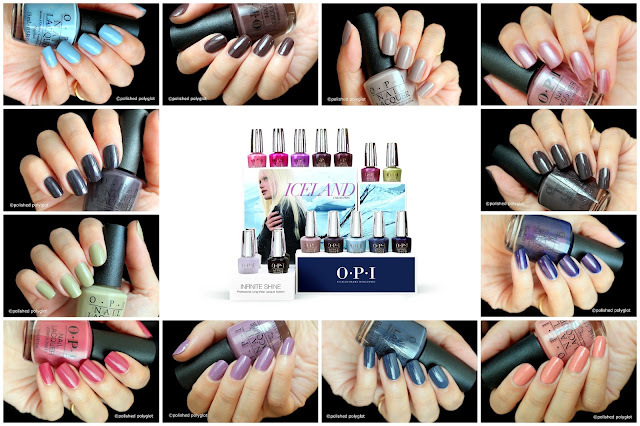 That would be enough for me, but if there is yet another reason to be happy about the cold season approaching, that has to be the new OPI Iceland Collection* for Fall/Winter 2017! It is beyond gorgeous and today I have the swatches to share with you!! This gorgeous collection has officially released yesterday in Switzerland and will be available for the next 6 months. Are you ready to choose your next nail colour? I feel this week is going to be great, I'd love to start something new, I feel like I'm going some change in my life, and I'm going for it starting today. I'll be letting you know you more soon, but I can already tell you is about blogging, health and family. Let's get into makeup now! Today is time for the "Monday Shadow Challenge" using "Brown & silver" these two colours have no place together in my mind, it was super difficult to come up with an idea to put these together! Hello, beauties! How are you today? 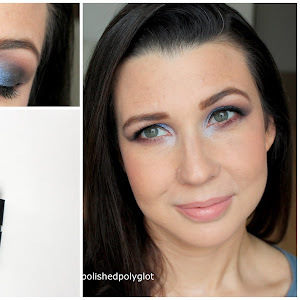 I'm super excited because I recently got my hands on two of the new Real Techniques PowderBleu Collection and I couldn't wait to share my thoughts about it with you! Sam and Nic have recently launched a new brushes collection that imitates blue squirrel brushes, but has the most accessible pricetag of synthetic brushes. But do these live up to the real thing? If you are a makeup lover, which of course I am, you probably also pay attention to the tools you use, so keep reading about these new brushes and you might be surprised! We are almost halfway in August (there is no need to point out how this summer flew by right before our eyes, right?) and I finally found time to gather my ish and write this recap for you. July was a lovely month! My boy finished his first year of kindergarten, he has grown so much! We've been out for dinner a bit more than usual (it was so hot for cooking right? ;) ). Hello, beauties! How are you? I hope your week started great! My boy was back to school this morning, the second year of kindergarten started today with many changes, since his school moved not only the building is different and further from home, so he'll be taking the school bus from now on (he's totally excited but also a bit worried to be late one day and the bus departs without him, LOL). 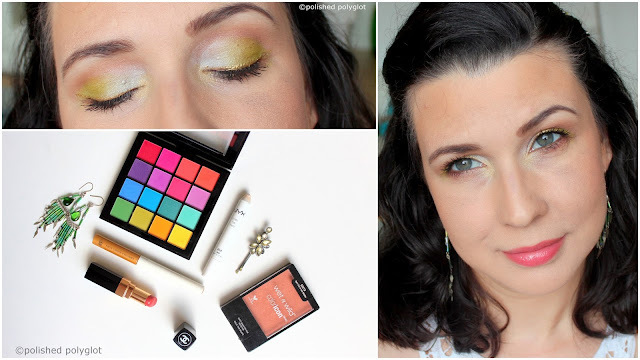 Let's get into makeup! 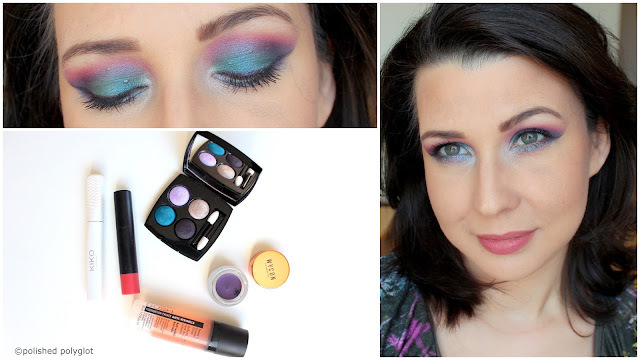 Today is time for the "Monday Shadow Challenge" using the colors "Purple & Petrol Blue" this is such an interesting combo I thought to do something really bold, keep reading and tell me what you think about it! The nice weather is baaack! So happy to have sunshine after 5 (...was it 6?) rainy days. I haven't posted anything since last Tuesday, as you may have noticed. I had so many random things to do and prepare because tomorrow is back to school for my child, and I didn't have the energy to blog. Everything is set and ready for the first day of school ! And now is time to share with you (two days late) my Nautical Nails for the Nail crazies Unite nail art challenge. Hello, my lovelies! It's me again! I'm a little late with posting here as I've been on vacation, but never too late to share with you what products I've been using lately. These are my empty bottles for skin and hair care products, keep reading to find out a mini review on each of them and whether I would repurchase them or not! Hello, my sweeties, I'm back! 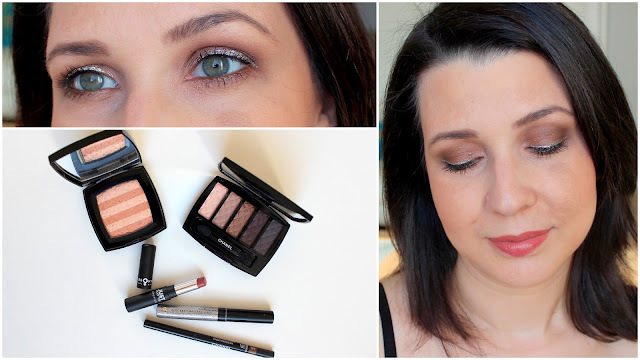 I learnt the new themes for the Monday Shadow Challenge while I was still on vacation, but I couldn't do any look in advance as I only took with me the most basic makeup and neutral colours. So yesterday afternoon I took the time to create this pretty quick look to share with you today using "White & anise green". Please, tell me what do you think? 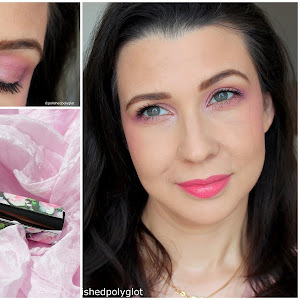 I've prepared this short post to share with you my top five lippies for summer. 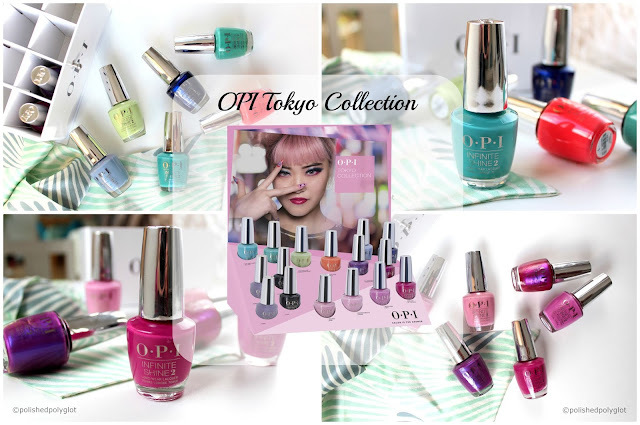 My selection corresponds 100% to my taste: BRIGHT, PEPS, FUN! keep reading to discover my choices.